I have to create a new resume since I don’t have a digital back up. I was wondering if someone could give me a sample of theirs or suggest some key words that employers might look for on a resume. 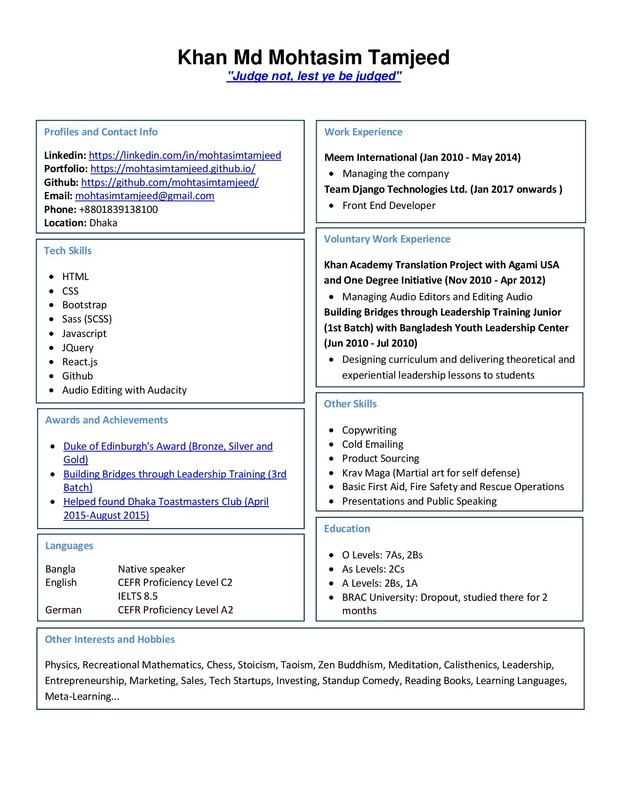 I recently modified my resume. At the top is my name, contact info, and a link to my portfolio. Next is my objective. My skills section id divided into programming/ languages, software/ tools, and technical skills. After that is my professional experience and leadership roles, followed by work history(not related to programming) and education. List skills in order of what you are most comfortable with. If you are not comfortable, practice! 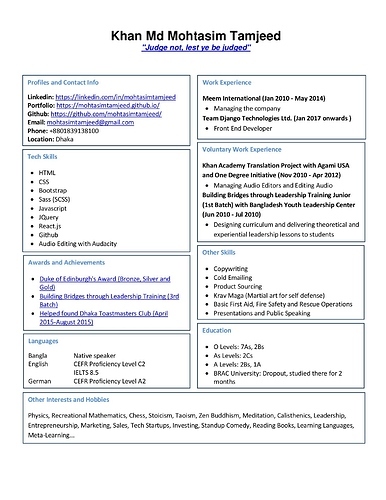 I thought I would share my resume which I sent out to several places. I just realized this post is more than 6 months old lol.